Join Luxion May, 21-22, 2018 in sunny, Southern California at the Paséa Hotel & Spa, Huntington Beach for two full days of sessions and workshops to stretch your abilities and build your KeyShot expertise. 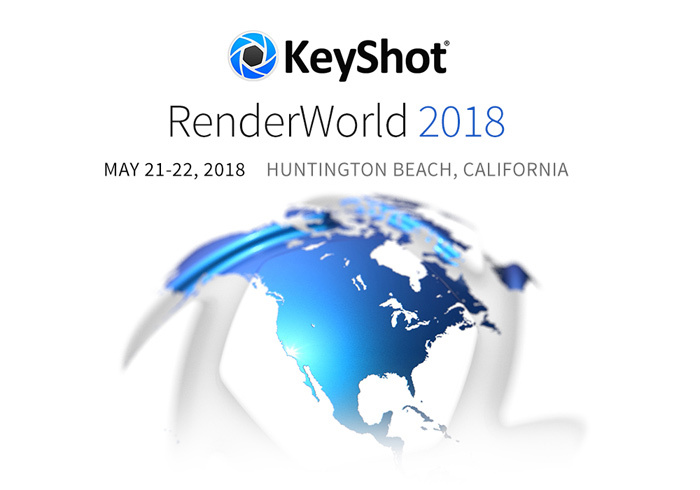 KeyShot RenderWorld features KeyShot users from companies around the world, as well as technical sessions and hands-on workshops hosted by Luxion’s product and training experts that cover KeyShot workflow, material creation, lighting, animation and much more. In addition, this event provides plenty of opportunities to network, learn from others, interact and connect with Luxion’s partners to experience products and offerings to take your productivity to the next level. The event will be held at the Paséa Hotel & Spa, just off the Pacific Coast Highway. Register Today – Early Bird Registration Ends 1st March, Save $100! Register now for the event that brings KeyShot users together from around the world! Your RenderWorld registration covers the entire event – two days of sessions and workshops, breakfast and lunch on both days and and evening reception on the first day.